This was extracted (@ 2019-04-17 18:10) from a list of minutes which have been approved by the Board. Please Note The Board typically approves the minutes of the previous meeting at the beginning of every Board meeting; therefore, the list below does not normally contain details from the minutes of the most recent Board meeting. RESOLVED, that the Apache Ace PMC is hereby terminated. approved by Unanimous Vote of the directors present. other artifacts to OSGi based and related target systems. - There has not been much activity in the last four months. - There are still enough PMC members around, but activity is low. - No new PMC members added since the last report. - No new committers added since the last report. data and other artifacts to OSGi based and related target systems. - Activity is still fairly low. - It is fair to say that the project is in "maintenance mode" at the moment. There are still enough PMC members around, but activity is low. - Following our last release we are answering some questions and fixing bugs. * February 9th, 2016: ACE 2.1.0 release. * Did a new release, addressing lots of smaller issues in 2.0.1. * We added a new committer, Bram Pouwelse. with ACE and tried to address those going forward. NA in Vancouver just now. reporting about a 4 month period. * April 22nd, 2014: ACE 2.0.1 release. * Upgraded the build to the latest Bndtools version. how to commit changes automatically and how associations work. other projects (Apache Felix) that are not released yet. * Some discussions about relay servers and Apache Celix integration. involved by actively engaging them. * Some improvements to the website after user feedback. * Enhancements to the way the agent reports certain errors. that could not be properly stored in XML. * Upgraded to DM4 (which is a core internal component). will lead to new committers. Traffic is still relatively slow. * Discussions about moving to Java 8 and Dependency Manager 4. * Improvements in the Workspace API (for scripting). * User questions about templates, Jenkins and Apache Karaf integration. @Shane: Is this level of activity normal? * User reports with questions and issues about scripting. * Questions from committers at Apache Celix about interoperability. * Another contribution by NiclasH (shell command for logging). * Fixes to the baselining support in the build. * Fixes to command line arguments of launcher. * Improvements of the shell (new commands) and OBR (more robust). * Community provided "getting started" article added to ACE website. to run our launcher as a daemon. see if they continue to contribute. * Mostly small bugfixes, 2.0.1 seems rather stable. @Greg: Any info about the community? * June 17th, 2013: ACE 1.0.0 release. * We are in progress of creating a new release for ACE. * Work on enabling baselining support in preparation of the release. * Large performance improvements after extensive profiling. * Reviewed and closed a lot of issues. * Community focus on working towards new release. * Bugfixes and refactorings in new agent. * Lots of work on UI improvements. * Developed a new management agent. * Added a shell client API. * Increase in community involvement. * Added Bram de Kruijff, Jan Willem Janssen and Paul Bakker to the PMC. * Setup CI build on Jenkins. * Lots of small things in preparation of the release. * Cleaned up the backlog of open issues. * Migrated to Bndtools 2. * Some bugfixes for problems when running on Windows and other issues. * We expect our next release in May. * Implemented a user manager UI. * A few bugfixes to code and documentation. * We are still working towards the first TLP release. * Lots of small fixes and optimisations, business as usual. * Accepted patches that improve our cloud support. * Reworking the build structure to support Bndtools. * Lots of work done to improve stability and increase performance. * We are working towards the first TLP release. * We welcomed a new committer: Paul Bakker. from now on we're switching to a report every three months. * Lots of activity in the form of patches, new features, etc. * We are now working towards the first TLP release. with our new site CMS based site. This board report is the third one since ACE graduated as a TLP. * We migrated the website and documentation to the Apache CMS. Actions are still in progress around this topic. March, 1st. All people involved in ACE were invited. * No concerns, our PMC of 8 has 6 different unique organizations. Second report as a TLP. everything to its new location. That is basically done now. the migration. Work in progress (still moving content). * We are now focusing on the first TLP release. * None so far after establishing the project as a TLP. This board report is the first one since ACE graduated as a TLP. to promote ACE as a TLP and give more information to the users. * Discussing the design of a "Powered by Apache ACE" logo. software artifacts for distribution at no charge to the public. distribution at no charge to the public. artifacts to target systems. ACE started incubation on April 24th 2009. There are currently no issues requiring board or Incubator PMC attention. * We've got a lot of great feedback and patches from the community. Amdatu (they use us) open source projects. * We now have a REST client API. * The management agent has been extended. * Karaf features were added. * We have a server side resolver based on Apache Felix. * None at the moment. * Jean-Baptiste, Bram and Marcel got accepted at ApacheCon NA 2011. * Wrapped up the Maven integration, readied the codebase for doing releases. * We did our first release: 0.8.0-incubator! * Bugfixes after initial feedback on the release. a good time to start discussing graduation. discussed further on the mailing list. * Quite a lot of work has gone into the new Vaadin based Web UI. * A new, simpler launcher is being worked on by Angelo. * Make sure all our dependencies are based on released artifacts. * Grow the community some more. 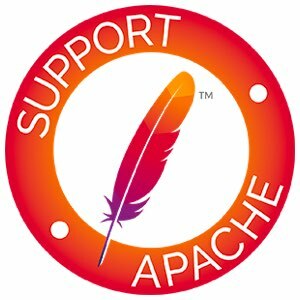 of ACE will be present and talking at ApacheCon NA 2010. Make a release. Grow the community some more. Unconference, organized with the ASF, talking about ACE. things, ACE at SkillsMatter in London. * ACE will also be present at the ApacheCon NA in Atlanta in November. * More work on the Maven build has been done. * Upgraded the UI to the latest GWT libraries. * Finished migration of all existing unit tests. ACE at the EclipseCon/OSGi DevCon in March. * Marcel Offermans presented ACE at the OSGi UK Users Forum end of January. Maven, we now have a fully functional Maven build. code, this still needs to be done). sharing it with Sling and ServiceMix. a work in progress on getting it up and running on Apache infrastructure. launching using Pax Runner, various patches and the migration to Maven. approaching us to work together on integrating ACE with AutoDeploy/Kalumet. He has since also helped out with the migration to Maven. * Currently its about aligning the Maven output with their Ant originals. Carsten started a broad discussion about them. contributing various patches related to a new Web UI. based launcher and integrate the Web UI in Apache Felix Web Console. any OSGi framework implementation to run the software on. * The configurator we use can now update configuration data on the fly. and work has started (packages renamed, license headers in place). two remaining mentors, Bertrand and Carsten Ziegeler. See  and . * Work has started on implementing a web based client UI for the project. * Software grant was faxed and is on record now. now have a continuous build system in place. Licensing and other issues: None at the moment. the IP clearance process to be completed. even has a couple of patches ready. * A logo was designed for the project, which is used in the wiki currently. * Initial codebase and documentation have been donated. notified that it is on record now. * None at the moment, no code has been committed yet. Ace just started incubation, on April 24th 2009. * Still working on the donation of the initial codebase and documentation.